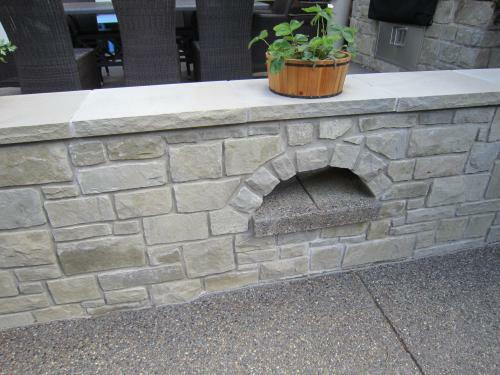 Stone masonry is perhaps the oldest form of masonry, as the first attempts at masonry construction were crude stacks of selected natural stones. 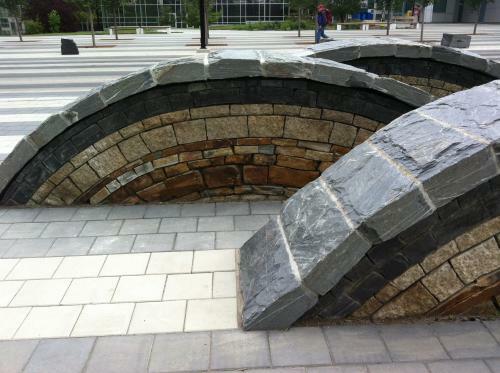 As tools and skills improved, stones were shaped into geometric units. 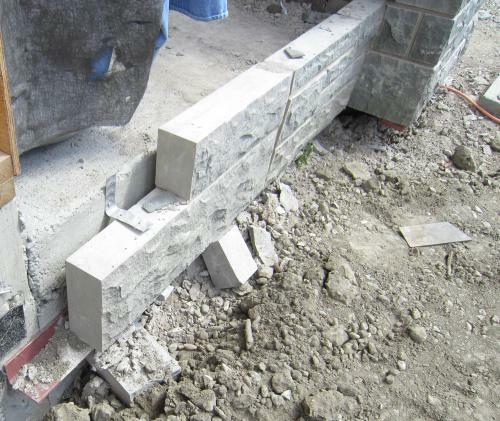 Early masons laid stones within soil or inbedded in clay and this evolved into sawn units laid in lime mortar or laid dry. 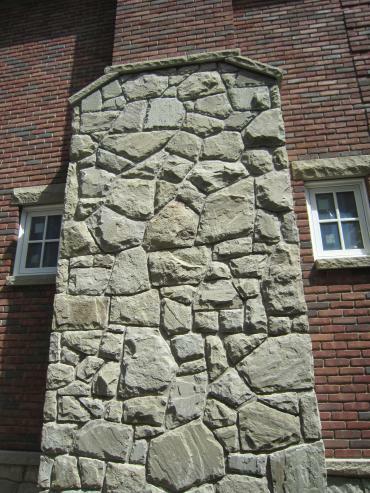 Full bed Stone masonry has been used historically as a structural material to construct dwellings, castles, cathedrals, and walls. 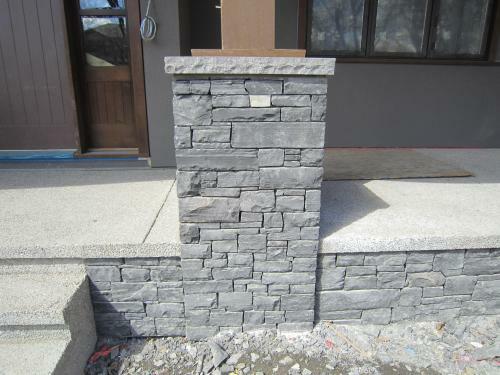 Today full bed stone masonry is often used as a veneer, similar to full bed brick veneer where it is tied to a structural wall. 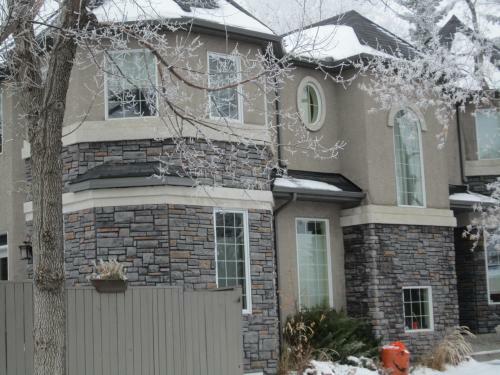 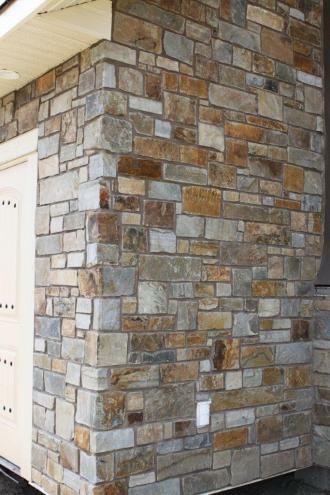 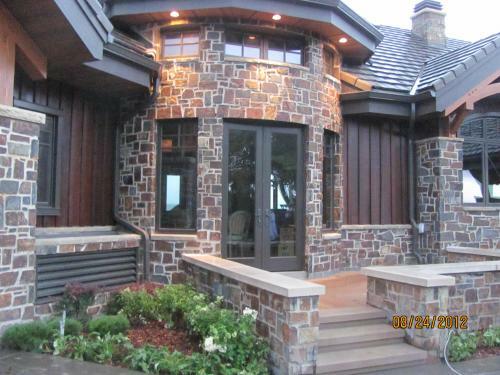 If an airspace is left between the back of the stone and the structural wall, that provides for drainage, it is called a rainscreen – stone veneer. 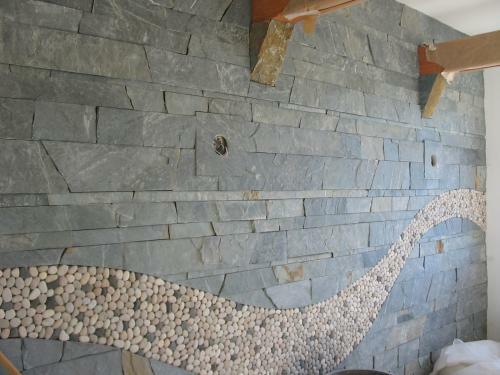 If the gap between the back of the stone and the structural wall is filled with mortar. 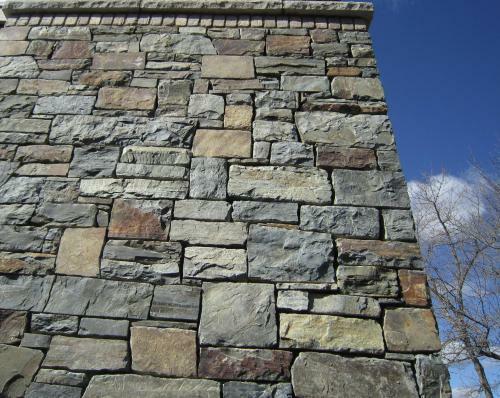 (Called a collar joint) it is known as a composite wall – stone veneer. 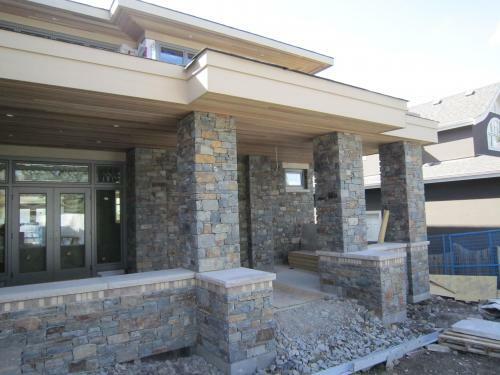 Adhered stone veneers are typically 2″ (50 mm) in thickness or less and are individually secured to the structural wall by mortar adhesion. 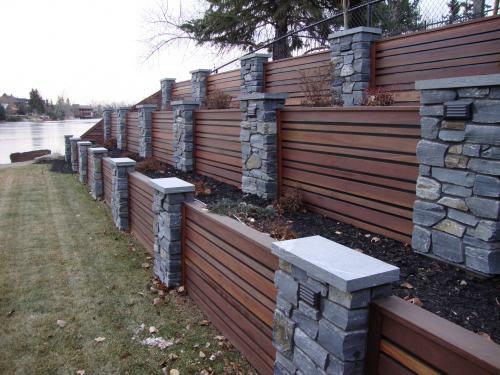 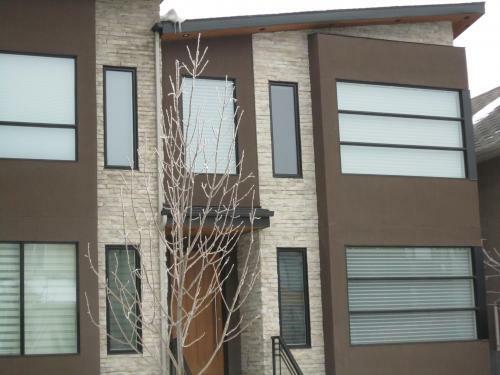 Adhered stone veneers can be natural stone or manufactured stone units and can be panelized (drystack) or individual units (jointed). 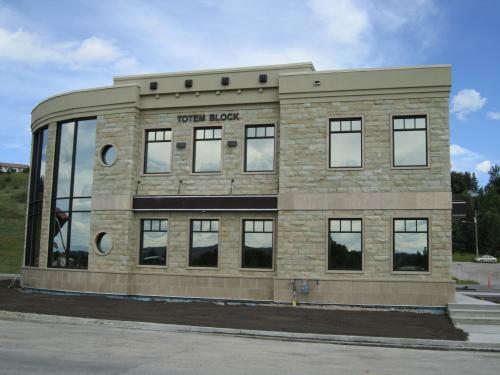 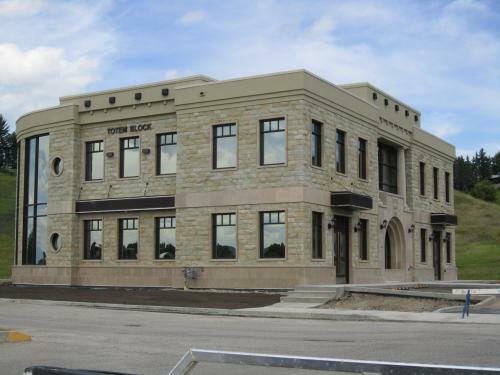 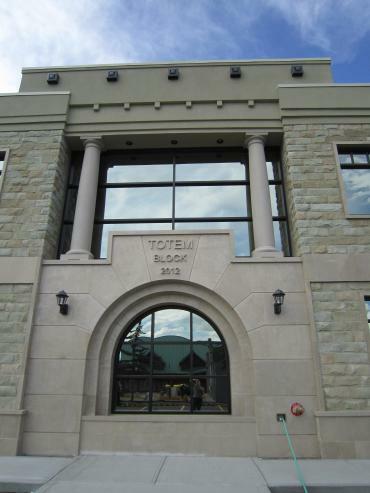 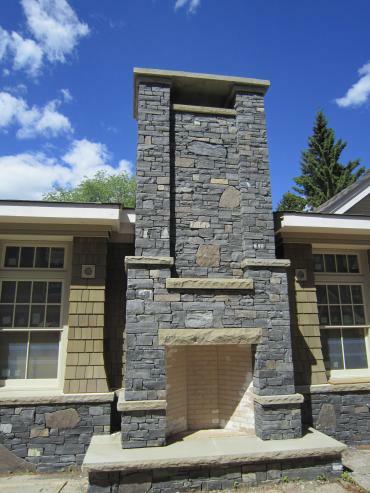 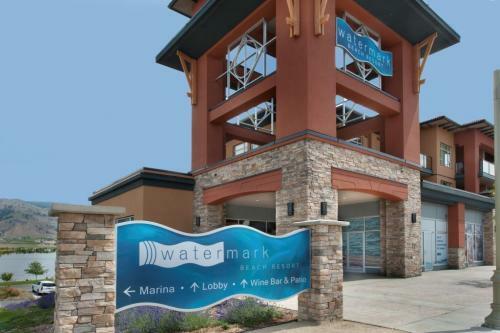 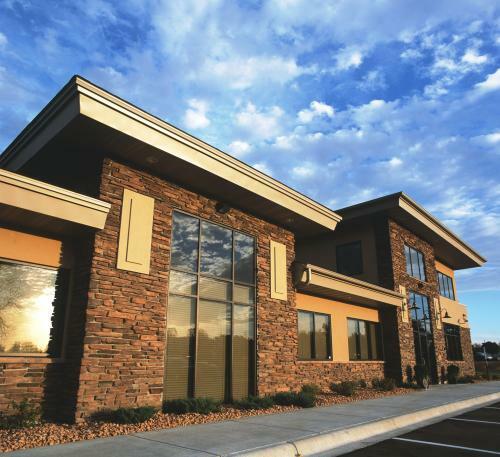 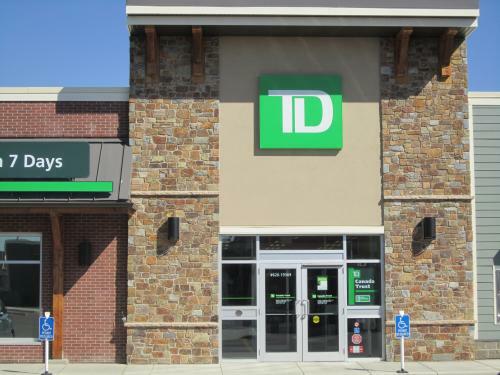 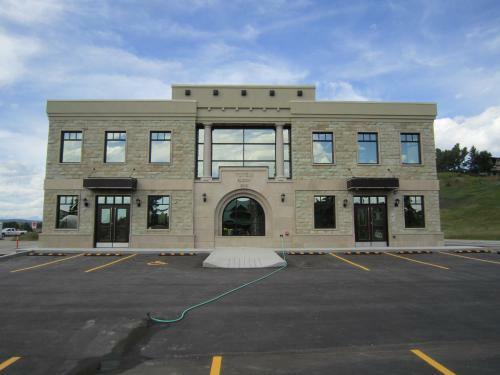 This thin alternative to traditional masonry can be advantageous when the look and durability of stone masonry is wanted but without the weight of full-bed stone masonry. 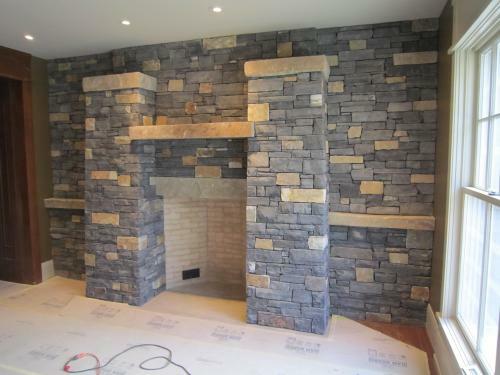 Anchored thin stone veneers are typically dimension cut stone panel less than 2 1/2″ (63 mm) thick. 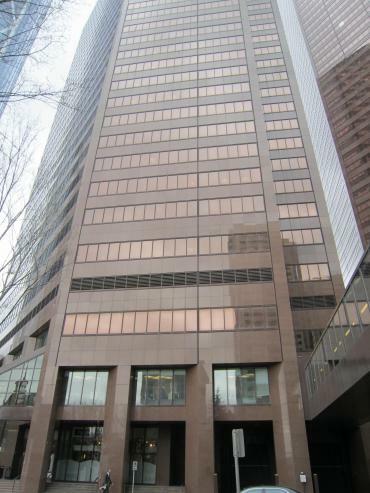 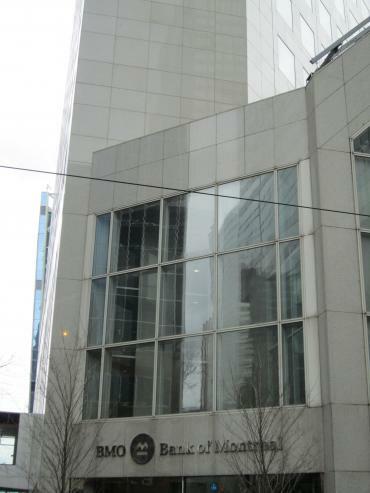 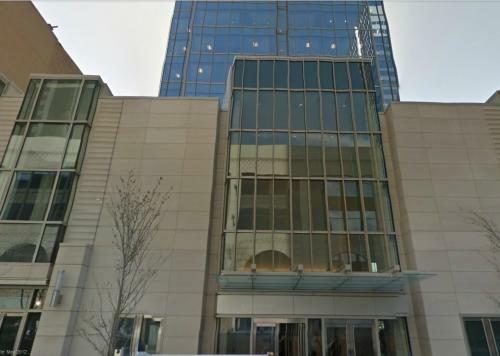 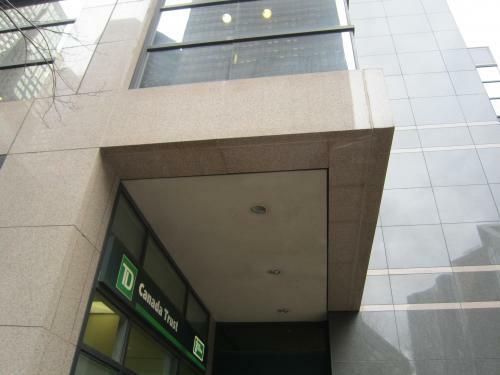 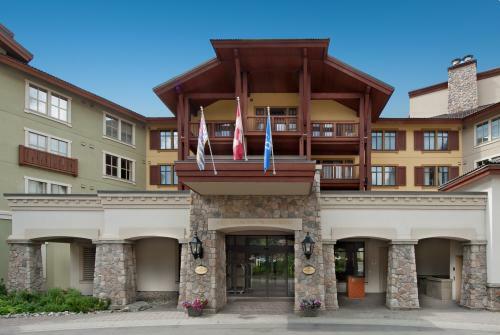 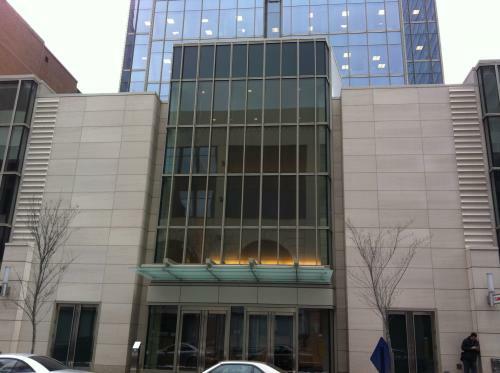 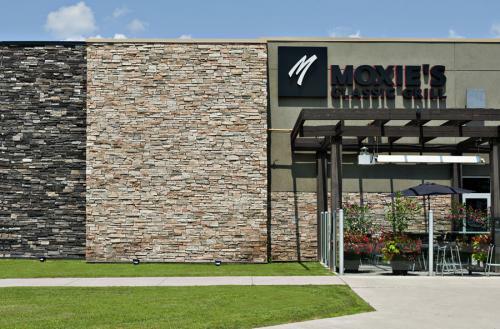 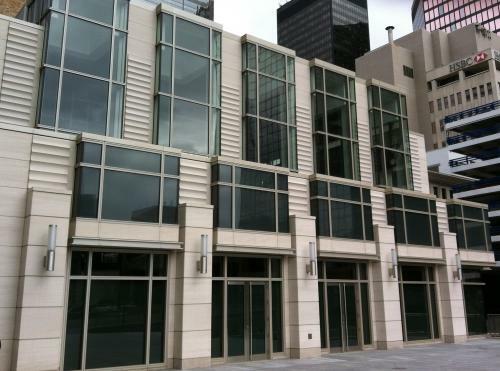 This form of masonry typically uses robust connectors to individually support the stone panels and can be found high-rise buildings and the podiums of high-rise buildings. 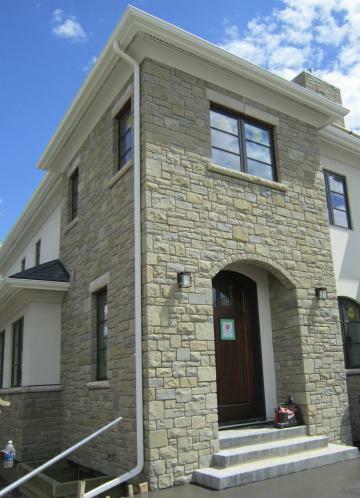 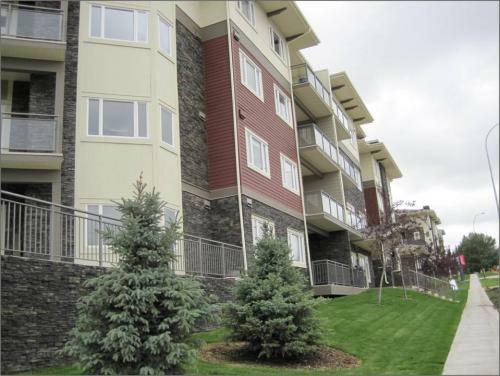 Although less common, this form of masonry can also be found cladding single family homes and multi-family residential buildings.